Dr. Dre’s music streaming service, Beats Music, has just gone live in the Apple App Store ahead of its upcoming launch in the US (hat/tip GigaOm). The service, which goes up against the likes of Spotify, Rdio, Pandora and iTunes Radio — as well as Mega CEO Kim Dotcom‘s new music streaming service Baboom — will cost $9.99 per month for unlimited streaming from its catalog of more than 20 million songs. 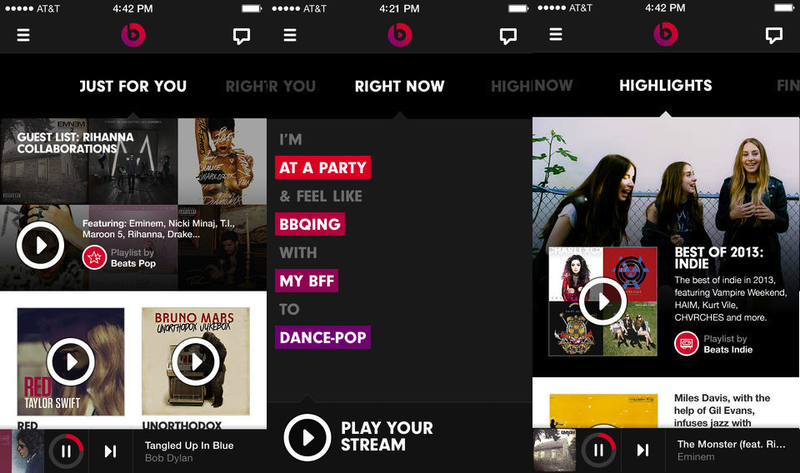 Beats Music will also be available for Android devices, but the Google Play app is still not live yet. Instead of just offering music and leaving users to discover their own tracks, Beats Music is attempting to stand out from its competition by helping users discover artists and albums. For example, the Beats Music app onboards users by asking what genres they’re interested in and then recommends music tailored to users’ tastes.